Sophia is proposed as a formation and research laboratory in which deep bonds between life and thought, study and experience are reconnected. It is a university institute that looks to the future, attentive to the needs that our time offers so that man of today and tomorrow - as Chiara Lubich liked to repeat – may become ever more "man-world." Sophia offers open education to all on embodied knowledge that can become distinct competencies in the world of economy and in particular of the business. Sophia is a training tool for those "new men" immersed and educated in the "culture of giving" and in reciprocity, without which is not possible to create an Economy of Communion. And that is why a substantial portion of EoC profits financially support Sophia. My name is Carlos López Lizárraga, I am an entrepreneur from Northern Mexico. I graduated in Electronic Engineering and for four years I worked in the field of Management and Business Administration. While studying in my country, I had the opportunity to spend a year in Japan. This experience made me realize the importance of cultural diversity: the respect for the other as a person grew in me and I rediscovered the value of nature. After this experience, three years ago I started my first company which I felt had to be a model for the others, so that, in its way of operating, it would show diversity and respect for others. But, subject to the laws of the market, I had become a company in which profits were more important than service to society. Profits had become the supreme good, to the detriment of the workers themselves. La proposta di un periodo di stage in una azienda di Edc viene posta in maniera accattivante:"Hai considerato il programma di stage per giovani di Economia di Comunione?" E' dal 2004 che la Mundell & Associates sponsorizza il programma di stage su Economia di comunione, rivolto a giovani di almeno 21 anni, interessati ad una esperienza lavorativa in una delle 800 aziende dell'Economia di Comunione. In questi ultimi 5 anni 19 giovani vi hanno aderito dagli Stati Uniti, Brasile, Spagna, Venezuela, Argentina, Italia. Scopo dello stage è offrire ai giovani una esperienza reale della vita lavorativa in una azienda dell'Economia di Comunione che permetta sia una formazione tecnica nella propria area di interesse, che una formazione spirituale e culturale sugli ideali e gli scopi dell'Edc, come vengono vissuti in una azienda. Una impressione da chi ha fatto questa esperienza: dice Julie Johnstone di Indianapolis (USA): "mi sono sentita parte di un qualcosa di più grande di tutti noi. C'era un clima di amicizia tale fra gli impiegati, che non guardava a chi era in azienda da più tempo, aveva più esperienza o era più avanti con l'età...". Ci racconta invece Antonella Perlari di Pavova (Italia), un tirocinio alla Mundell nel 2009: "L’atmosfera è diversa… la cosa che più mi ha colpita e che mi porto a casa dall’esperienza fatta alla “Mundell&Associates” è il clima che si respirava in azienda. L’ambiente oltre ad essere giovanile è molto spontaneo e informale e questo rende più facile il dialogo e la conoscenza reciproca. Il “di più” che mi ha dato questa esperienza è stato vedere realizzato quello che fino a poco tempo prima avevo solo letto nei libri e cioè come il posto di lavoro può essere il luogo della realizzazione della persona in tutti i suoi aspetti." It has been several years the University of Milan Bicocca organizes Masters and advanced courses entitled "Engaging in non-profit" for young graduates who wish to be formed to operate in the Third Sector and for workers who want to improve their management skills in nonprofit organizations, in particular social cooperatives, NGOs, associations. From July 11 to 24, 2011 the Intensive Course of the Economy of Communion, was held in Nairobi, the result of the "pact and project" between the International EoC and the CUEA (Catholic University of Eastern Africa) to spread the theory and EoC practice in Africa. This course is the first step of a five-year commitment and will then be repeated every year. The first International Summer School of Economy of Communion, entitled: "The Economy of Communion: Theory and Practice," was held in Rocca di Papa on September 3-6, 2009. The project was designed initially for a small group of young people, students of economics profession, but was also accepted by all university students, workers, managers, entrepreneurs, teachers, and not just under 35. The program was intense: after each presentation there was room for questions and answers and a time was devoted to group work. What marked the four days of school was the proposal to live together in mutual love. This proposal, accepted and taken seriously, has created a fraternal and joyful atmosphere throughout the day, from those spent in the classroom, at meals and during free time. The success of this first experiment made us understand the importance of giving continuity to this initiative, making an appointment for the young people, set on a regular basis on the first week of September. In 2010 and 2011, the proximity in time of the Loppianolab event in mid-September has not made it possible to have the Summer School, but in 2011 it is the intention of the organizers to replicate the experience of an EoC International Summer School. Also in January 2011, in Kenya, the first major EoC Pan African School was held at Mariapolis Piero (Nairobi). 160 people from 12 countries kicked off the event, a time for EoC also in Africa! There is also a blog for this school with a lot of content and a series of videos available at Video:Speciale Africa 2011. 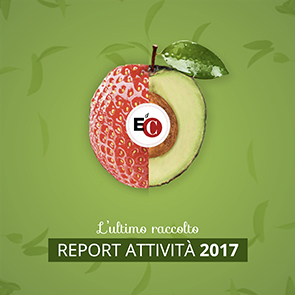 Between 2010 and 2011, on the encyclical Caritas in Veritate, the EoC Schools in Italy have multiplied: organized in collaboration with the diocese (as in the case of the Mediterranean School of Civil Economy and Communion of Crotone or the Economy of Communion Higher Education of Lamezia Terme) or cultural associations and category (as in the case of the Civil Economics Academy of Taranto), these schools are intended primarily (but not exclusively) to young people and have among their objectives to promote self-employment of participants. go to the Thesis website: you will find descriptions of the theses submitted on the archive in the last 4 years.